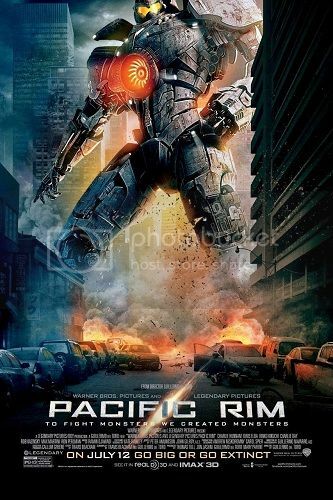 Pacific Rim is a guilty pleasure. It's big, it's loud, and it's relatively simplistic, but it's also a hell of a lot of fun. It's entertaining. Man Of Steel seemed to go on too long in the final battle and felt too big in terms of action and destruction, but with Pacific Rim those are not issues at all. This movie is supposed to be big and loud. 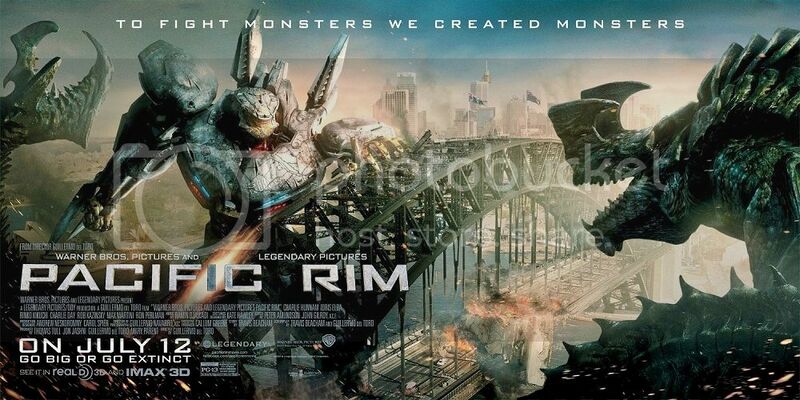 This is a movie about giant robots ("Jaegers") protecting humanity from giant monsters ("Kaiju"). Going any smaller would seem like holding back. 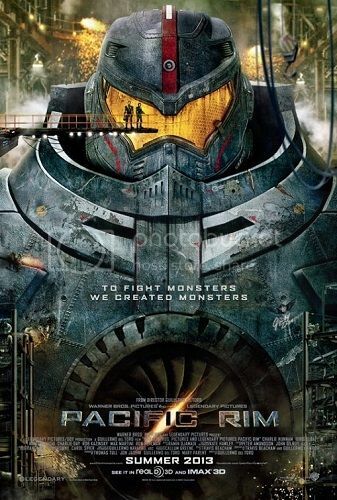 In a nutshell, Pacific Rim is one part Godzilla, one part Transformers (the first one), one part Cloverfield (in terms of monster design and special effects), and one part Robot Jox (look it up if you're not familiar with it). Put those four parts in a blender and hit, "Puree." Voila! Pacific Rim. But while it is wildly derivative it still comes across as halfway original in both the details and how the story plays out. Guillermo Del Toro did a great job finishing off the script and directing the movie. Where Michael Bay seems a bit mechanical in his direction of the Transformers movies Del Toro makes it a little more natural and, dare I say, a little more artistic. Don't get the wrong idea - this isn't high art. This is pop art. This is exactly what a summer popcorn movie is supposed to be all about. Big over the top entertainment. The battle scenes are very well done as the giant robots and monsters move at such a speed that looks realistic (they aren't moving at relative speeds that only something much smaller could achieve). They look like they have size and weight matching what you see around them. And the human characters are written just well enough, and played just well enough by the actors that the movie holds together throughout, not just during the action sequences. Pacific Rim is fun. It's entertaining. What more could you ask for?